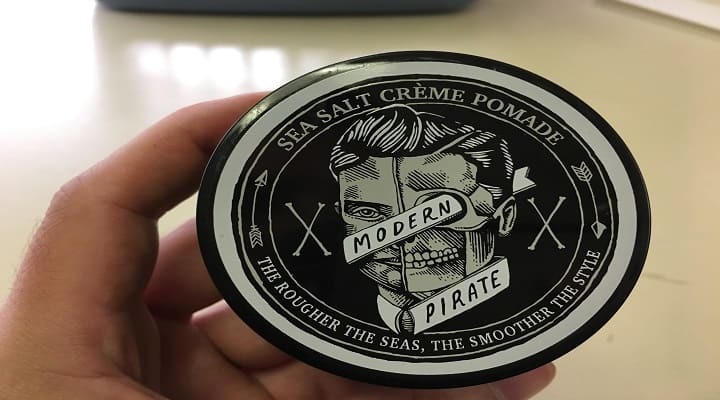 For this article, we’ll be looking at my review of Modern Pirate Sea Salt Creme Pomade. Short answer, this pomade is the best I’ve ever used. I’m happy to explain why. Ok, let’s go over these a little more in depth. First off the smell is awesome. Like I wish this could be a cologne. This was a great surprise as most of my hair products tend to have negative marks in this category. This does a great job of providing a slight hold & guiding your hair in the direction you want it to go. It’s not going to be able to hold your hair pushed back (at least not mine) which I wouldn’t expect it too. It provides the exact hold that I hoped it would. The problem with all other pomades is that it leaves hair with a shiny look. I don’t want that, I want something well, that looks like I have nothing in my hair. That’s what the Modern Pirate Sea Salt Creme Pomade does. It leaves my hair looking like It naturally flows the way I have it styled. 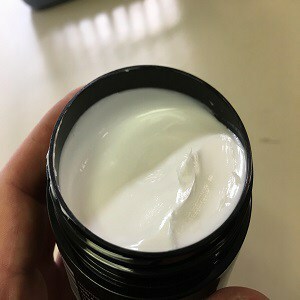 added into the pomade. It does a good job of sucking up the oils in your hair to leave a nice clean look. The downside here is usually the day of & after you wash your hair. There already is no natural oils in your hair because you’ve stripped them out with shampoo. This is why I quit using shampoo/conditioner & just wash my hair with water. Now, instead of oily hair. The sea salt will dry up that oily hair & it looks perfect. This makes for the best pomade for men to use when doing no poo method aka no shampoo. I usually workout during my lunch break & even though the sweat causes it to lose a little hold, it still keeps working. This means if you want to go out on a hot day, then you don’t have to worry about it letting you down. 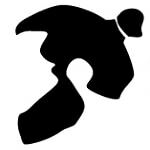 Of course, some hold will be lost, but a good bit will still remain. With that being said, it does wash out easy enough if you were to run your hair under a sink or pour some water on your head. So, no worries about having a difficult time trying to get rid of it. The only downside I can even think of is maybe a little pricey compared to most pomades. However, I don’t mind this at all because it will usually last a good while & for the results it provides, I don’t mind paying a little extra. There are a few places to buy it currently. This is a new product just FYI. I bought mine from eBay but I now see Amazon is selling them & also Walmart. Of course, you could also buy them directly from the vendor as well. 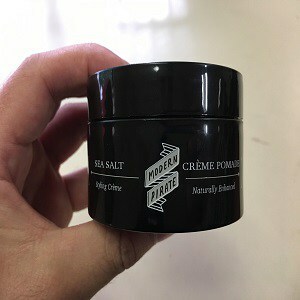 Overall this is an amazing pomade that actually is stepping up how pomades work with the sea salt addition to it. I love when companies think outside the box & this is exactly what Modern Pirate has done with their new pomade.